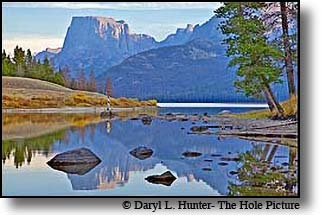 Once upon a time there was an awesome fishing lodge on the South Fork off of the Snake River in Swan Valley Idaho, started dozens of years ago by Buell Warner, a cantankerous and colorful western character who spawned stories of trophy hunting, fishing and poaching. The South Fork Lodge surprisingly enough was on the north bank of the South Fork of the Snake River and like many lodges of the day it was a rough and rowdy place to drink and stay while fishing or hunting in Swan Valley. 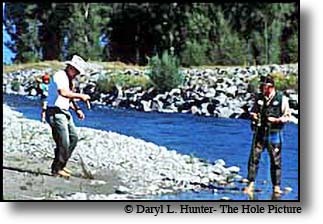 Catching trophy trout or hunting by day and reveling about tales, maybe not so tall, of the exploits of Buell at night was a fine way to spend time in the mountains of eastern Idaho. 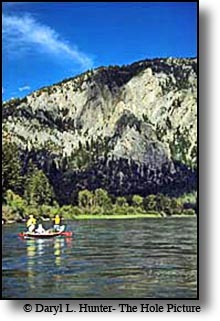 Buell’s son Spence bought the South Fork Lodge in 1976. 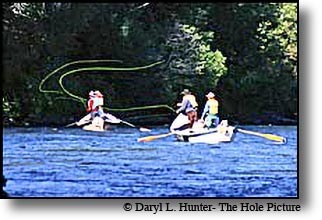 Spence was another colorful character, not quite as outrageous as his father, but quite the jolly host and entrepreneur with his own repertoire of stories to be told to the eager listener who dropped by to wet a line. One day in 1979 the government wanted that bit of real estate for a bridge across the Snake River so this landmark and its footprint on the collective memory of many was no more. 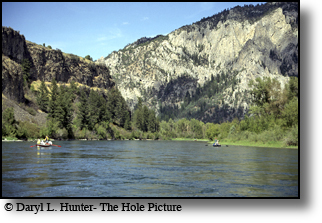 Suddenly without a lodge, Spence started a real estate business in Idaho Falls about 50 miles away, but since he was a fishing lodge owner at heart so soon he acquired a new property a few miles downstream for a new lodge. 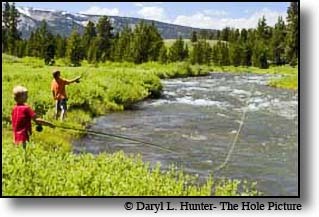 Shortly thereafter the South Fork Lodge came to be renowned as one of the nation's best fly-fishing destinations. 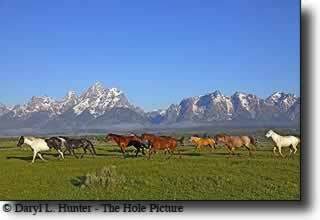 Spence’s South Fork Lodge is the one I knew because I was a late comer to Swan Valley. I bought my Swan Valley home through Spence, and I soon had a new friend and employer. 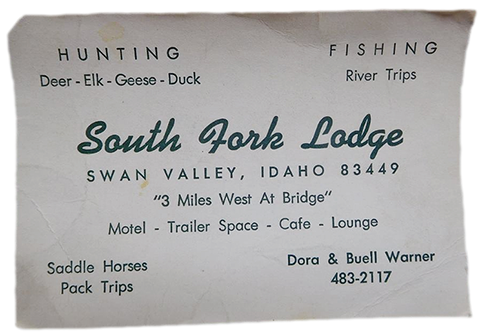 Spence’s South Fork Lodge had become the largest employer of Swan Valley and I was proud to be on the roster of fishing guides. Spence’s Last Cast Restaurant and Bar was one of the funnest places I have ever tipped a beer. 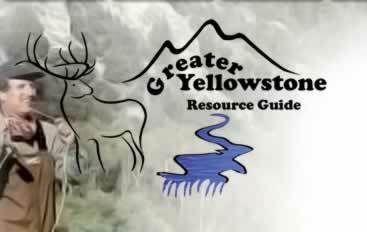 It was usually pretty quiet until the guides got off the river after dark. 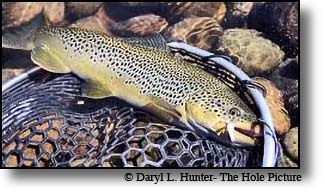 Spence kept the restaurant open late so the guests could fish until the last bit of light disappeared off the water, and the guests could no longer see trout rising for stoneflies, caddis flies and mayflies. 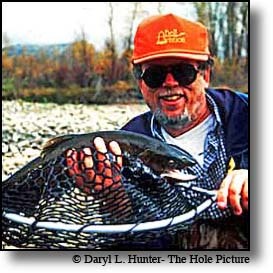 By eleven thirty, guide Dave Cook often would often be standing on the bar with his guitar singing songs everyone would know if he wasn’t ad-libbing some funny ditty that would have everyone laughing hysterically. If I was guiding the following day, I often had to make an early exit before getting sucked into the fun. Sadly one day in 1999 a Rockefeller millionaire who was a client of the Lodge fell in love with it, bought it, tore it down and replaced it with one New York élites would love. The South Fork Lodge was never the same. 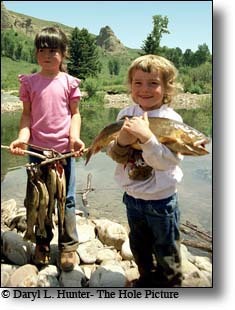 Sure it looked great with its multimillion-dollar remodel, but the hard-core fly-fisherman ambiance was gone. The local color was gone, just like Renée Zellweger’s new face, very pretty, but lacking the personality and character of the previous one. 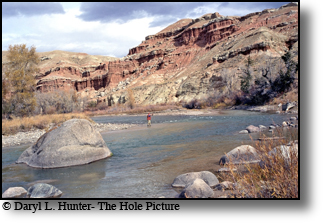 The blue collar fishing clients were priced out of their long term destination of choice, and the lodges cast of local characters and long time visitors moved to local watering holes and lodges up the road. The new owners were happy the frivolity of the previous patrons were gone. A few years later while longing for local color and the bar receipts of days gone by, they tried to entice us to come back, but to no avail. I ate there once, and my $50.00 meal was good: although, I would have enjoyed Spence’s $12.95 steak much better. Their high falutin chef was not a suitable substitute for the country cooking of Carol Jones. Now the Rockefellers are busy people so I assume running a fishing lodge grew tiresome, so they leased it out to a global resort corporation who apparently doesn’t think locally. Many long time guides left when Rockefeller took over and fancied up the place. 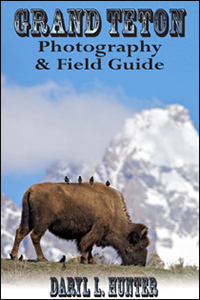 The remaining guides, all but a couple left after “corporate elsewhere” started making disagreeable policy from afar. 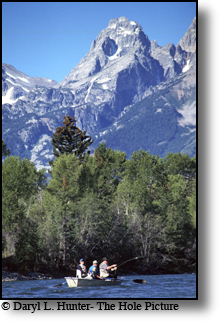 A few of the senior guides stayed on to service the clients that returned year after year to fish with only them, not because of any allegiance to the corporation, but because of a fondness for their long term fishing guests they had guided for decades who had become their friends. Today the South Fork Lodge is still the largest business in the valley, but very few locals will work there. That isn’t a problem for the global corporation because their human resources department can bring in human resources from across the globe. No need to be dependant on the locals or to be a part of the community. 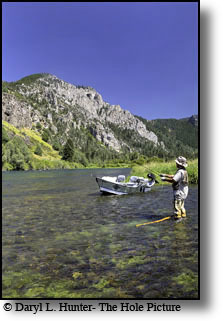 It could though, be a problem if you wanted a fishing guide with decades of experience on the South Fork of the Snake River. The unknowing New Yorker still loves it. 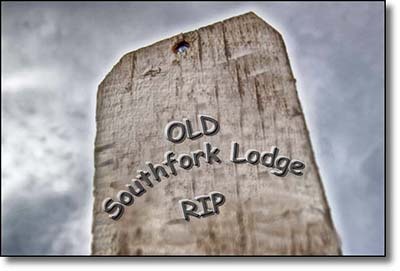 I salute you Spence and Buell Warner and the “Old South Fork Lodge” may you rest in peace – it was nice knowing you!